It's baaaack... 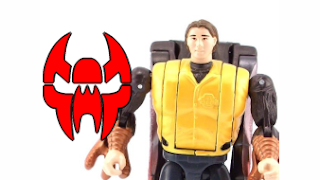 Plastic Addict returns and starts the comeback big with the debut of the Top 5 Worst Transformers of all time. For the sake of surprise this description is vague, but keep in mind no toy on the list has been reviewed before, so what could possibly be worse than Hot Shot, Side Swipe, Titanium Soundwave, and all the rest? Let me put it this way, the final file size of this episode was 666 MB. And this is only #5!